Top of the line wellness products, a culture of caring and a business opportunity that together make up the Science of Happiness: a formula for greater health, prosperity and well-being! When people begin the Q Sciences journey, they quickly notice a transformative shift in how they feel in their everyday lives.Lasting happiness comes with improved well-being and a sense of accomplishment. Look for a 15% code! 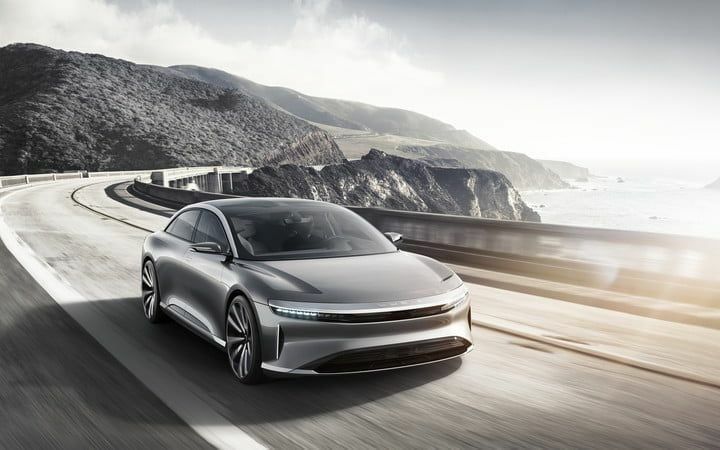 Meet the first electric vehicle (EV) model from Lucid Motors, the Air. Perfectly blending luxury, sustainability and comfort into a sleek new package. Pre-orders are currently available for a 2019-2020 delivery of the exclusive Air model. If you have the means and the desire, it’s time to roll out. Who in your world needs to stop and listen for inspired direction ... personally, professionally, philanthropically? Who would greatly benefit from spending one or more days with key members of their team and/or inspiring constituents where they can dream big? Serial entrepreneurs, Jennifer King and Timothy Fredel, (BioSpace.com, Kudos Trading Company - Kudos.tc, Rugged Elegance), first investors (Baidu), and philanthropists (the Rugged Elegance Foundation) are doing something radical with their home in Sea Cliff, San Francisco to support the PEACE creators of this world. ZEN Hustlers may receive a small percentage commission of each sale purchased via the links on this page, please be sure to use these, thank you in advance!